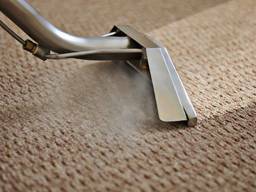 Carpet Cleaning: Why is it so important? Going through the effort to clean your carpet may sound like too much extra work, especially if your carpet looks clean enough or is largely concealed by furniture, rugs or mats. So why bother? In warm climates and in environments where people are often outdoors or have children that are in and out of the house, there is an even greater need to make sure carpets are regularly and thoroughly cleaned. Regularly cleaning your carpets prevents a buildup of bacteria and allergens that are typical of warmer environments and that can be tracked into the house by people moving in and out. Dustmites, fleas or bedbugs are also more likely in a home with carpets that havent been cleaned regularly. This is especially true if you own pets. The air quality of your home will also be improved by regular carpet cleaning as a thorough wash removes trapped pollutants in the fibres of the carpet. Finally, regular carpet cleaning prolongs the life of your carpeting and makes carpeting a long term investment for your home. If carpets are not regularly cleaned, they can quickly go to ruine resulting in an expensive replacement process. There are four mainmethods for cleaning your carpets. Carpet shampooing uses a foamy chemical to cleanse the fibres of the carpet. Carpet absorbant cleaners are also known as dry cleaing and works by sprinkling a dry and absorbent substance over the carpet. The product then attracts and absorbs any dirt or bacteria in the carpet. Carbonated cleaning is another carpet cleaning method that sprays the carpet in a cleaning solution and then makes use of a specific type of brush that works the solution into the carpet. Finally, Warm Water Extraction is the most popular carpet cleaning method because it is classified as ‘deep cleaning’ in that it thoroughly cleanses the carpet from top to bottom. In this method a fine spray of high-pressured water is used to force unwanted dirt and bacteria out of the deepest parts of the carpet which are then quickly sucked up by a vacuuming mechanism.